The lineage of these ocean plasma minerals trace back to the research and work of Canadian, Biochemist, Archibald Macallum and well known French visionary, René Quinton. Discovered in 1900, these pure Marine Plasma minerals have over 100 years of research and clinical application and are extremely absorbable and bio-compatible with the human body. BIOCEAN HYPERTONIC 3.5 Pure Marine Plasma is all about Energy, Hydration, and Cellular Nutrition. 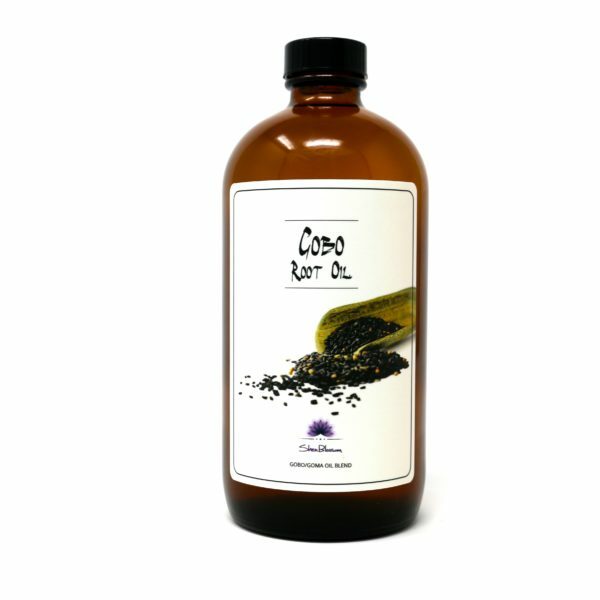 Supports energy metabolism, and is a co-factor in enzymatic reactions. 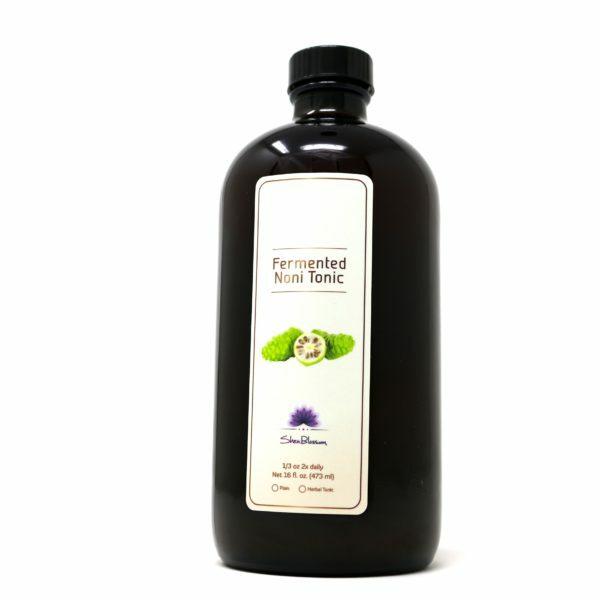 Helps to maintain optimal hydration and acid-base equilibrium. Raw material selection is critical to the quality of the finished product. 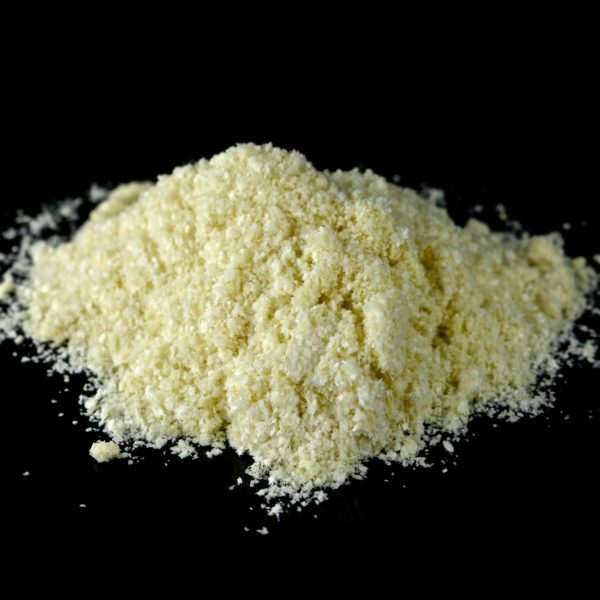 Raw materials and ingredients are selected based on their quality, stability, efficacy and purity. Without the pristine collection zones, care and know-how it is impossible to yield Pure Marine Plasma. The seawater used comes from the cold North Atlantic Ocean in France. The collection site is protected and classified NATURA 2000. 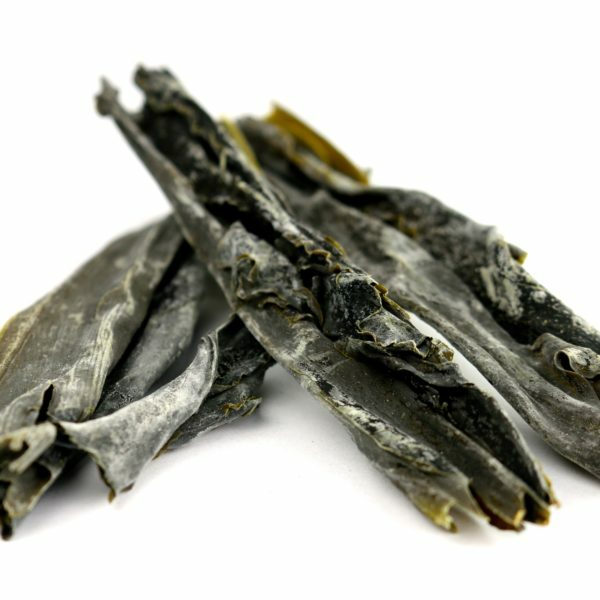 The region where our raw material is harvested is not only pristine and controlled in real time for pollution but also benefits from some unique qualities with extra high tides, a continuous flow of new, richly oxygenated water, as well as a perfect mineral balance. Stringent manufacturing practices are just as important as raw material selection to get safe, efficacious, sable finished products. Biocean adheres to the strictest quality systems such as pharmaceutical GMPs and ISO 13 485 for Medical Devices. Pharmaceutical GMPs ensure quality manufacturing, strict controls of raw materials, personnel, equipment, clean rooms and proper stocking, distribution and monitoring of finished products. BIOCEAN Pure Marine Plasma is systematically manufactured in GMP certified pharmaceutical laboratories for superior quality, efficacy and stability. BIOCEAN, know-how, modern technology and science, raw material selection and stringent manufacturing practices simply make it a true therapeutic, pharmaceutical seawater specialist. 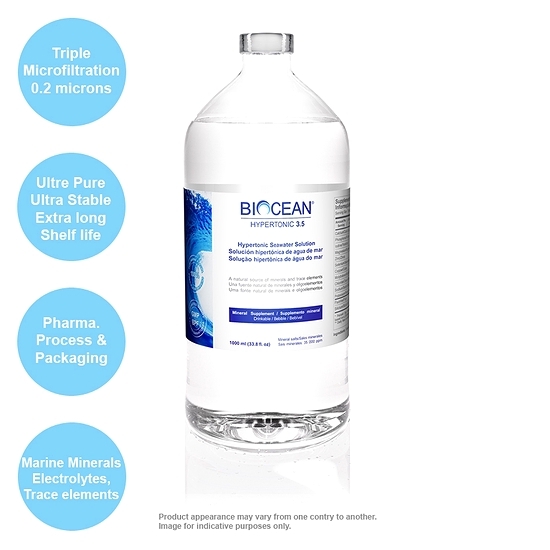 BIOCEAN, Pure Marine Plasma is by far the most advance supplement of its kind on the market. 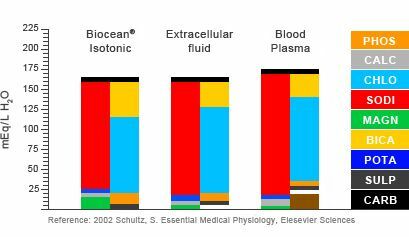 Marine Plasma is strikingly similar to the mineral ratios in human extracellular fluid as shown in the graph below. From its discovery in 1904, we refined marine plasma to make it safer, more stable and efficacious than ever. 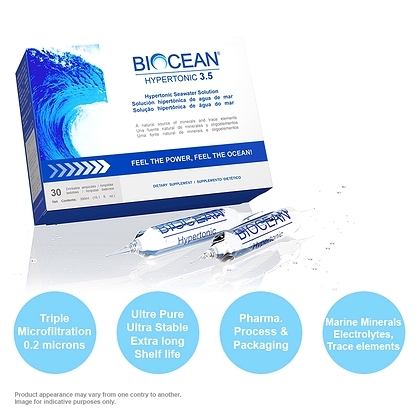 The BIOCEAN Marine Plasma difference! 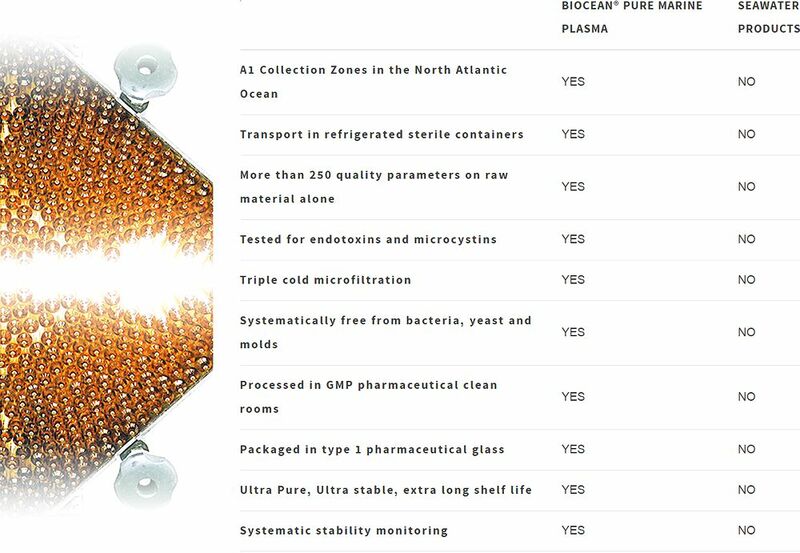 Below is a table that illustrates the main differences between mere seawater products and true pharmaceutical, efficacious, stable and safe, BIOCEAN Pure Marine Plasma. DOSAGE: 1 to 3 vials (10 to 30 ml) per day. Best taken on an empty stomach 15 minutes before meals or 2 hours after meals. Keep 1 minute in the mouth and swallow. The shelf life on the box of ampules has a 5 year shelf life. Since these are raw, unheated ocean minerals, the 1000 ml bottle must remain refrigerated after opening and must be used within 3 months after it is opened. You will also want to make sure you pour these minerals into another container before consuming as to not contaminate the bottle.